Dubai: The gross domestic product (GDP) of Abu Dhabi at current prices (nominal GDP) grew to Dh931 billion in 2018, up 14.4 per cent up from Dh814 billion in 2017, according to a report released by Statistics Centre – Abu Dhabi (SCAD). A breakdown of this figure shows a 35.7 per cent (Dh376 billion) increase in the emirate’s oil-GDP, making up 40.4 per cent of the emirate’s GDP at current prices. On the other hand, non-oil GDP at current prices grew 3.5 per cent from Dh537 billion in 2017 to Dh555 billion in 2018 contributing 59.6 per cent of the GDP in 2018. As SCAD’s estimates indicate, non-oil activities have experienced remarkable growth over the last five years since 2013. Some of these changes have been instrumental for the recent developments in the GDP. Prominent among these was manufacturing, which grew by 13.8 per cent in 2018. “A glimpse at the estimates presented in the 2018 national accounts leaves no doubt that Abu Dhabi economy is robust enough to maintain its current levels of growth and competitiveness, thanks to the leadership’s ambitious and well defined vision, especially true after the launch of the Abu Dhabi Program for Development Rises “Ghadan 21”, a three-year development programme,” said Abdulla Ahmed Al Suwaidi, Director General of Statistics Centre - Abu Dhabi. Public administration and defense and compulsory social security’ increased by 6.4 per cent in 2018; transportation and storage’ by 4 per cent bouncing back from a decrease by 6.4 per cent in 2017. Workers’ compensations in economic activities reached Dh251 billion in 2018, up 3.7 per cent from Dh241 billion in 2017. Total production (gross output) in the Emirate of Abu Dhabi grew 11.4 per cent to Dh1.42 trillion in 2018, compared with Dh1.27 trillion in 2017. Fixed capital formation (i.e. net acquisitions in producers’ fixed assets) increased by 6.8 per cent to Dh157 billion in 2018. The value of fixed capital formation for non-oil activities increased from Dh114 billion in 2017 to Dh121 billion in 2018. 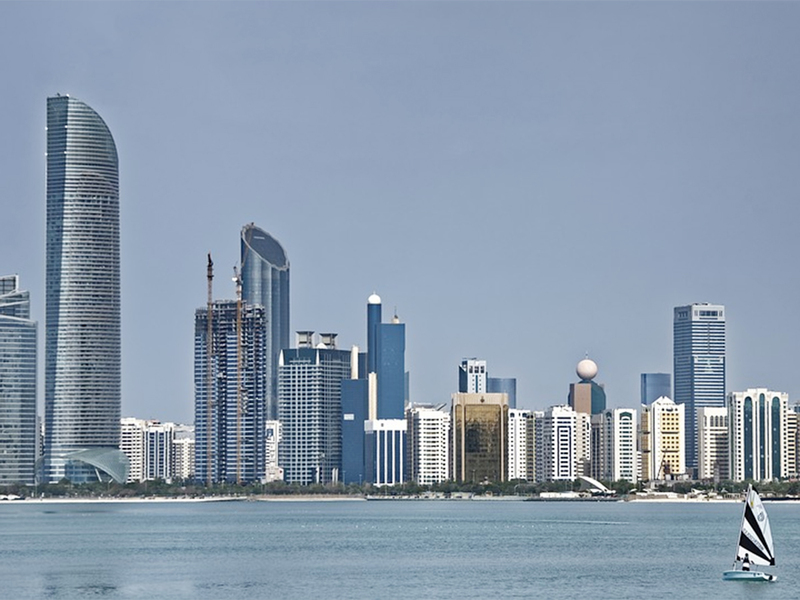 In real terms (inflation adjusted) Abu Dhabi economy grew by 1.9 per cent, driven largely by the remarkable growth in mining and quarrying, which achieved a real growth of 3.4 per cent in 2018. Data showed most non-oil activities achieved positive growth during 2018, which enabled them to remain the largest contributor to the GDP, accounting for 51 per cent against 49 per cent for oil activities. As for the performance of non-oil activities, manufacturing industries continued their upward for third straight year, achieving a real growth of approximately 6 per cent in 2018, second only to agricultural activity” said Rashid Abdul Karim Al Balooshi, Undersecretary of the Abu Dhabi Department of Economic Development (DED) . Improvement in the manufacturing activities reflected in a record contribution of over 6 per cent to Abu Dhabi’s total GDP in 2018. Meanwhile the contribution of manufacturing industries to non-oil GDP increased by more than 12 per cent in 2018 compared with 11.5 per cent in 2017, noting also a 24 per cent increase in Abu Dhabi ‘s non-oil exports in 2018 to Dh27.7 billion up from Dh22.3 billion in 2017.